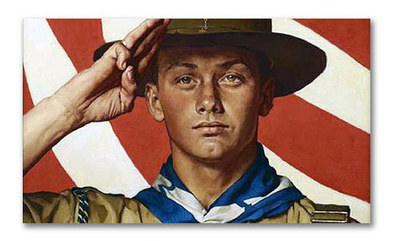 Boy Scout roundtable is a form of commissioner service and supplemental training for volunteers at the unit level. The objectives of roundtables are to provide leaders with program ideas, information on policy and events, and training opportunities. It is a forum for sharing experiences and enjoying fun and fellowship with other Scout leaders. The roundtable experience will inspire, motivate, and enable unit leaders to provide a stronger program for their Scouts. Crossing over adults/families into the troop. Camping Trips: Seasoned scouters sharing their favorite locals and hidden treasures. Game Night with all units. Envision a fall festival of scout games. Come learn a new game while passing on your favorite. Hi AT BSA Leaders. Thank you for ALL you do and thank you for your interest in roundtable.!!!! Help wanted: Call Dalton if you would like to join the RT team. 7:00 Midway and mingling. Come and socialize as you learn about upcoming events. 7:30 Opening with Cub Scout leaders (upstairs). 7:45 Boy Scout Leaders move down stairs. 7:50 Monthly Theme guest speaker. Spotlight Merit Badge tips on teaching merit badges. Share your gear. Leaders show and tell about this months gear.